Happy Friday friends! I'm super excited to share this sweet little seal pup with you! Funny enough, I have been trying to design a seal since January. It went into time out for a while and the 3rd try finally resembled what I was looking for. My favorite part of this seal is that the fin, body and head are all made in one piece. There is little sewing involved with this pattern and the final size is only 7 inches tall. They work up so fast! I'll be using them to stuff stockings along with the mini cow and pig! This post may contain affiliate links, please click here for more info! Thank you for supporting Grace and Yarn! 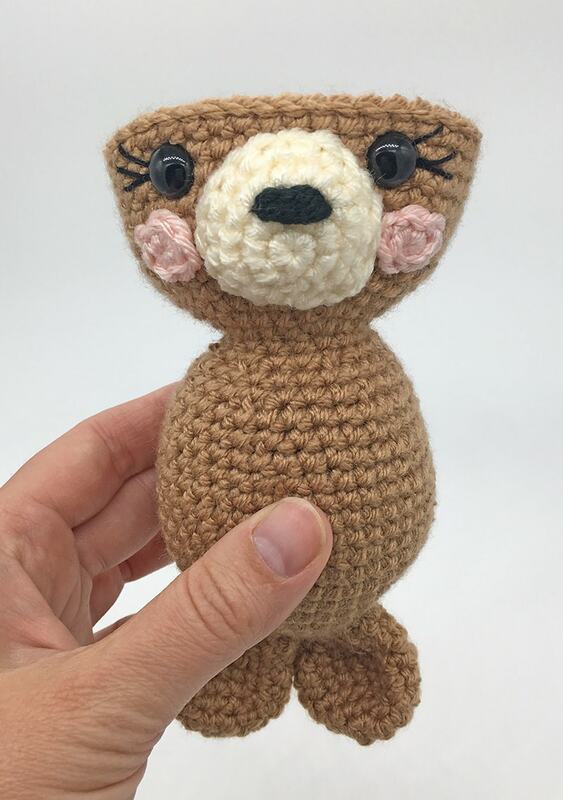 This sweet seal pup was part of the 30 Days of Cozy event that was held in November on The Crochetpreneur blog. 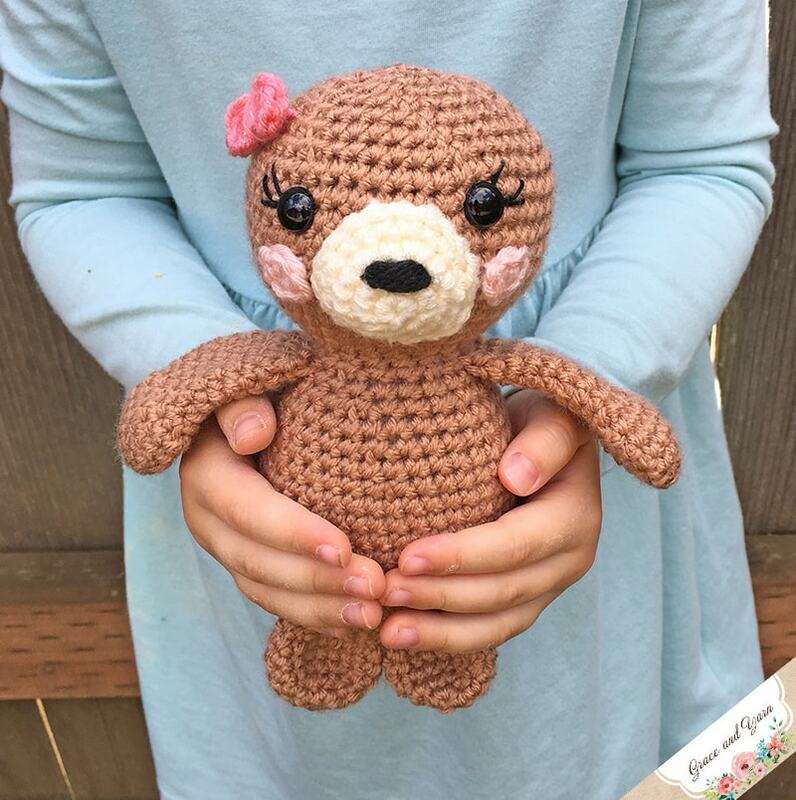 I was honored to be a guest designer and am excited to share the free pattern for this little seal pup is now a free pattern here on my blog as well! If you prefer to work with an ad-free printable version you can find one in my Etsy and Ravelry shop! PIN this to your crochet board to find again later! 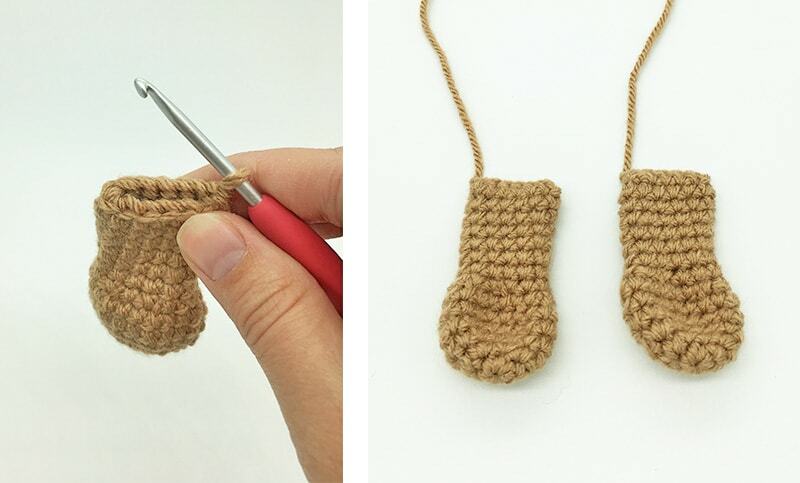 If you are new to amigurumi be sure to check out my Tips to Learning Amigurumi page, it's full of helpful tutorials and pictures you may come across in the pattern below! While I made this seal pup a girl you can easily exclude the bow and eyelashes for a super cute boy version! They would also be adorable in white or grey! 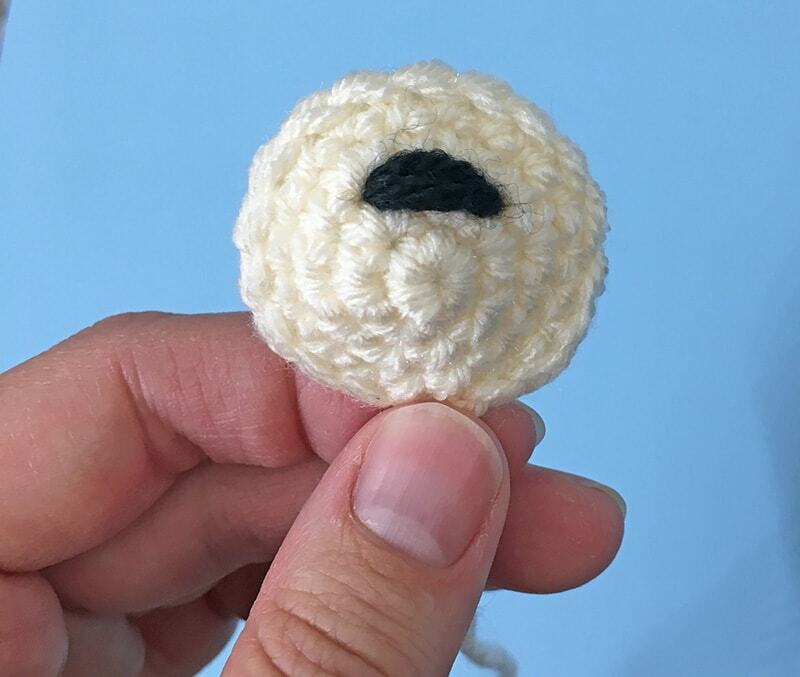 I made mine with plastic safety eyes, if you intend your creation to go to a little one under 3 I highly recommend making crochet eyes like the ones here. I have some fun patterns in the works plus a new CAL coming soon! Be sure to sign up for my newsletter so you won't miss them! You can also find more fun and free Christmas patterns here and here! Be sure to oin the Grace and Yarn Crochet Group on Facebook! It's a growing community of people who love to crochet just like you. Feel free to ask questions, share your projects and be inspired by others! Fasten off leaving a long tail for sewing, with black yarn pass through 4 stitches 3-4 times to form the nose. Create a magic circle with 6 SC, slip stitch to the first SC and pull tight to close the circle. Fasten off leaving a long tail for sewing. Make 2 with light brown (we will attach our 2 tail pieces together to then start the body). Fasten off on the first tail piece, proceed to round 9 after completion of the 2nd tail piece. Round 9: Here is where we will attach the tail pieces together and start the body. Attach the 2nd piece to the 1st with a SC. SC around the 1st tail and then the 2nd tail (24) This completes your join and is where your next round with start. NOTE: Here is where we will add the facial features. Place the safety eyes 7 stitches apart between rounds 38-39. If you are adding eyelashes I recommend placing them before securing your eyes. Next, sew the mouth piece centered between the eyes adding a small amount of stuffing as you go. Lastly, sew the cheeks onto either side. At the end of round 13 pinch the flipper flat and make 6 SC across the top to close, fasten off leaving a long tail to sew onto the body. Working in a magic circle make 4DCs, slip stitch, 4DCs, and slip stitch again. 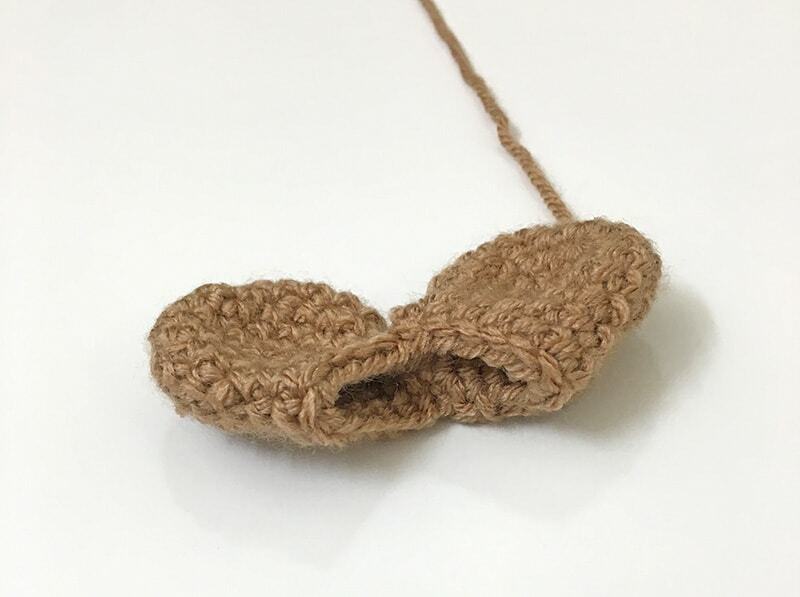 Pull your tail tight to close and wrap the yarn around the middle of the bow 3 times. Tie/secure in the back and cut your yarn leaving a long section to sew with. 1. Sew the arms onto the body centered with the head at round 25. 2. If you are making the girl version, sew the bow onto the side of your choice. Your seal pup is complete! I hope you have enjoyed making them as much as I have!